The C.D. Howe Institute released a report Wednesday containing a perfectly sensible idea: Get rid of government-mandated drawdown rules that increase risk boomers will outlive their retirement funds. As it is the Income Tax Act requires seniors withdraw annual minimum amounts from RRIFs in increasing increments through retirement. But as Canadians are living longer the risk that someone can now outlive their retirement savings is rising. Government regulations that force retirees to drawdown and spend their retirement money faster than they might otherwise need to are dangerous. "Longer lives are a good thing…[but] when combined with out-dated drawdown rules, modern longevity and investment returns spell trouble for holders of RRIFs (registered retired income funds) and similar accounts,” the authors of the report write. According to the report an average 71-year-old man is expected to need a steady income for another 14.4 years, and woman another 16.9 years. 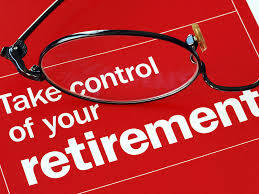 If a retiree is forced to draw down their savings before they die the risk the retiree could outlive their funds rises. The solution say authors is for Ottawa to increase the age at which withdrawals become mandatory, or make mandatory minimums smaller so that savings last longer. The best solution would be the government get rid of mandatory drawdowns altogether so that individuals make their own choices about how and when to withdraw their money from their retirement account.